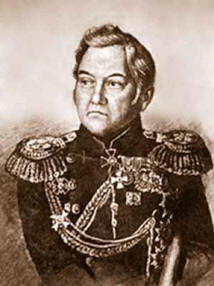 Shortly after Napoleon had been dispatched from Moscow in 1812, the Emperor Alexander Pavlovich (Tsar Alexander I) for an assortment of reasons including the annexation of new lands for the Russian Empire, but also as a result of his own instabilities decreed that two expeditions be dispatched of two vessels each to the higher latitudes of the Arctic and Antarctic Oceans. a voyage well worthy of being placed beside that of Cook"
The 600 ton corvette Vostok had been built only a year earlier and was the larger of the two vessels at 130 feet with a 33 foot beam and 10 foot draft, it had a coppered hull though was not ice strengthened. The 530 ton Mirnyi (previously Ladoga) 120 feet long with a 33 foot beam was an ex transport sloop, coppered like the Vostok, and also strengthened for ice work. The Mirnyi was a poor sailing vessel and despite mast and sail changes was considerably slower than the Vostok which spent much of the 2 year voyage under abridged sail to allow the slower Mirnyi to keep up. 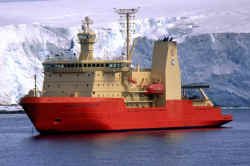 Pay and allowances - each member of the expedition was paid 8 times the normal amount, in addition to this, officers and scientists were given a mess allowance. Before departure, the Tsar awarded Bellingshausen a gratuity of 5 thousand Roubles and for the journey from the Black Sea to the Baltic, a thousand Roubles. Three thousand Roubles were awarded to Lieutenant Lazarev (commander of the Mirnyi) and a year's pay to all the officers and men. There were to have been two German naturalists joining the expedition at Copenhagen, but they declined at the last moment. 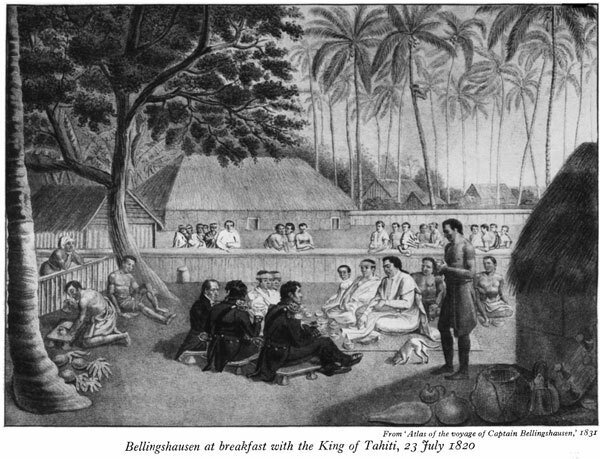 Bellingshausen, concerned that he could not carry out the scientific programme appealed to Sir Joseph Banks in England who had sailed with Captain Cook and to the Royal Society, though no last-minute recruits were available. 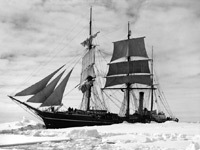 The expedition crossed the Antarctic Circle (the first to do so since Cook) on January 26, 1820. On January 28 1820 the expedition discovered the Antarctic mainland approaching the Antarctic coast at a point with coordinates 69Â° 21â€² 28â€³ S 2Â° 14â€² 50â€³ W seeing ice-fields there. 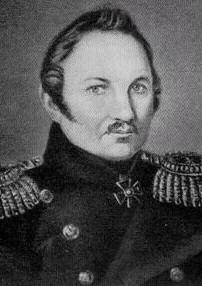 Bellingshausen's diary, his report to the Russian Naval Minister on 21 July 1821 and other documents, available in the Russian State Museum of the Arctic and Antarctic in Saint Petersburg, Russia, all support this fact. 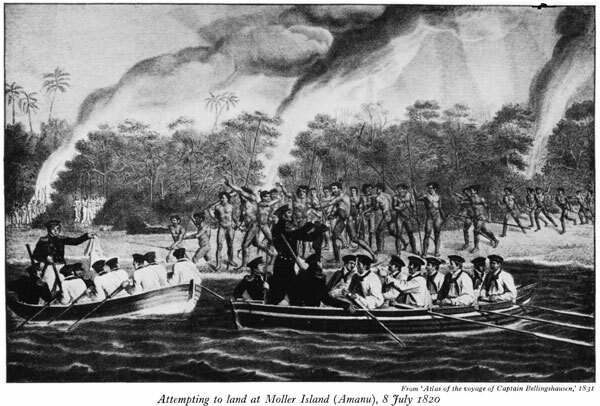 Summarizing all this evidence, Russians claim Bellingshausen as the discoverer of the sought-after Terra Australis -- rather than the Royal Navy's Edward Bransfield on 30 January 1820 or the American Nathaniel Palmer on 17 November 1820. During the voyage Bellingshausen also discovered and named the South Shetland Islands, Peter I Island and a peninsula of the Antarctic mainland which he named the Alexander Coast but which has more recently borne the designation of Alexander Island. The expedition lasted 751 days, 527 of which were spent under sail, they had covered upwards of 57,000 miles, more than twice round the equator. 1819-1821, Hakluyt Society, London, pp 364-372.